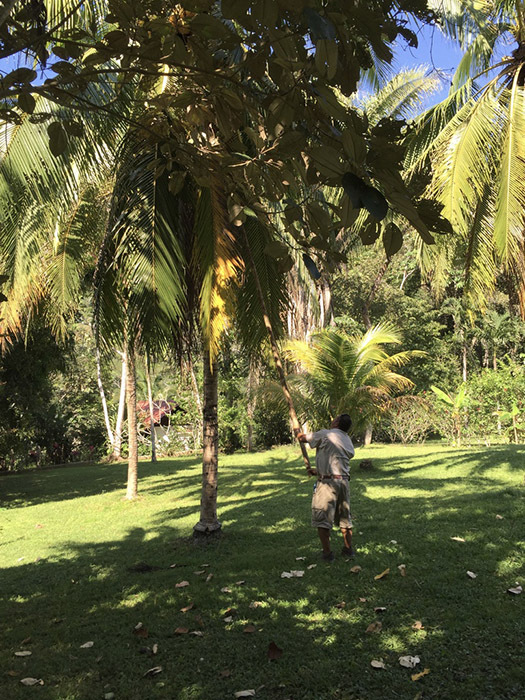 One afternoon, several days into our stay at Black Rock Lodge, some people from our yoga group mentioned that they’d not yet taken the complimentary sustainability tour. Mom and I had not yet managed to take the tour, so we decided to tag along. 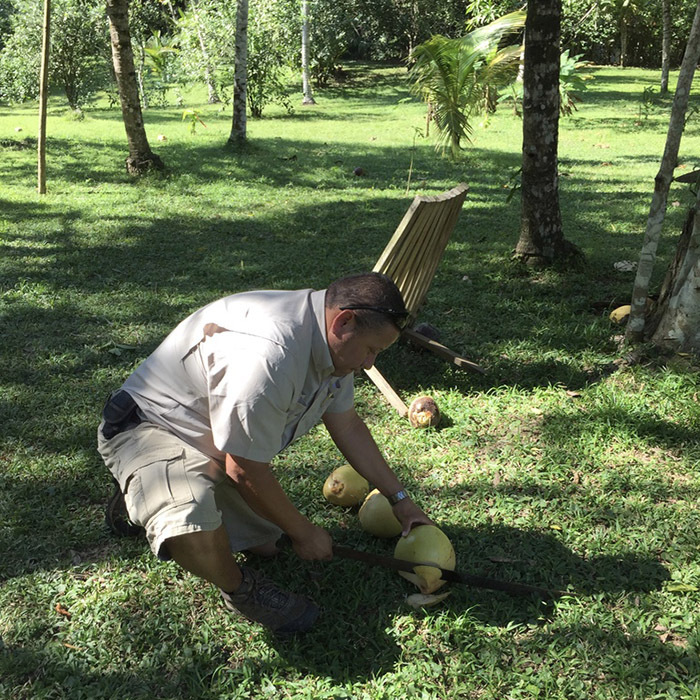 Before we set out on the tour, our guides Giovanni and Freddy made sure they had a machete and a handful of straws. As I mentioned in my post about the lodge, they are fully off the grid, so on the sustainability tour we got to see the solar hot water system and solar batteries and the waste water treatment. We hoped we’d have time to go down and see the gardens, but we had to get back for our afternoon yoga practice. 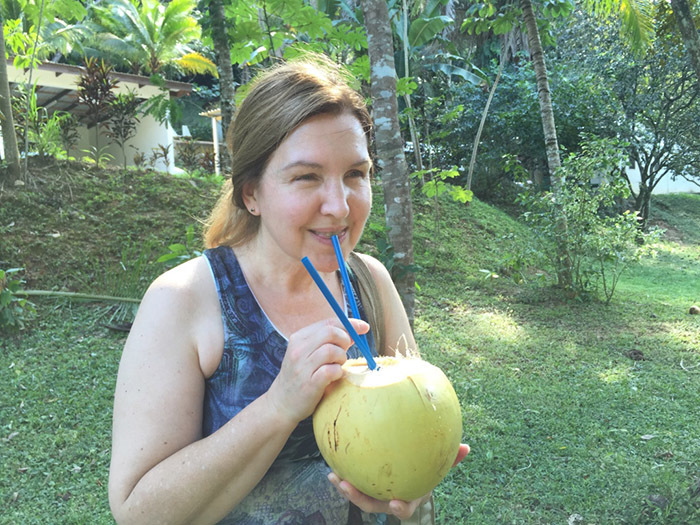 There were young coconuts, out of which we enjoyed a refreshing drink of coconut water! 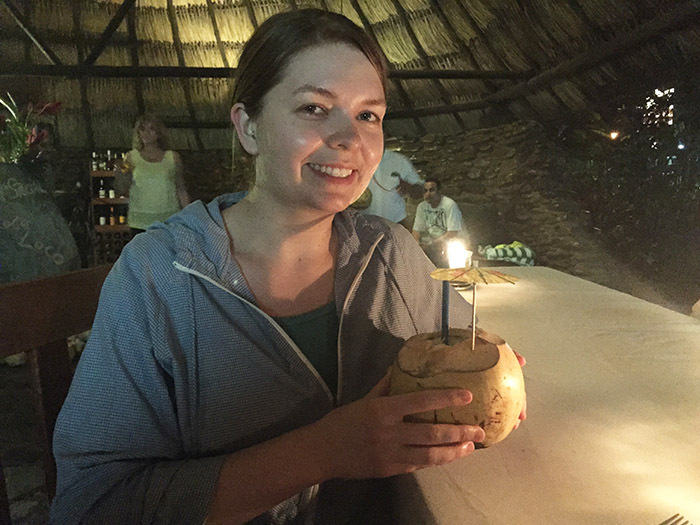 … and that explains the straws. 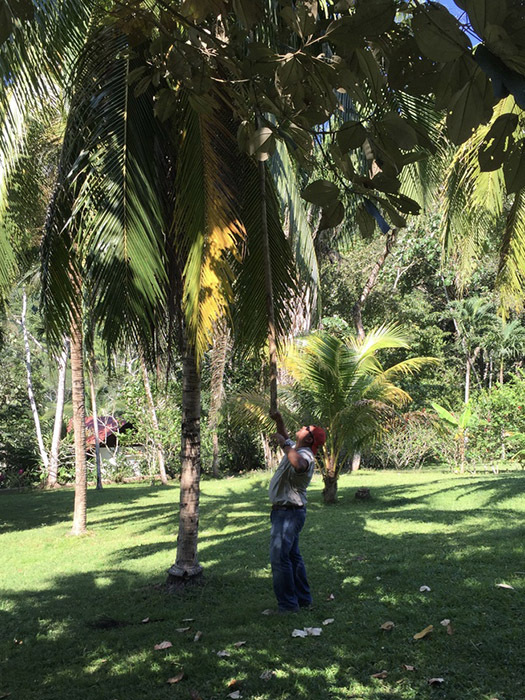 A few days later, during our yoga practice in the palapa, we watched one of the waiters in the restaurant walk down to the river, pick up a giant forked branch, and carry it over his shoulder back up the hill. 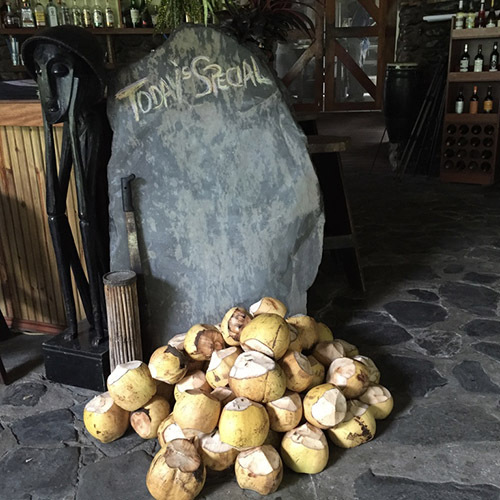 When we went back to the restaurant for lunch, there was a big stack of coconuts, ready to be the day’s special. 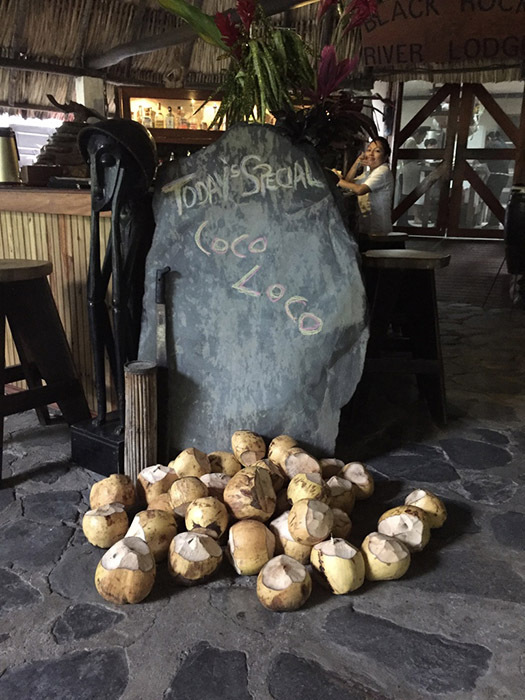 There are several different variations on the coco loco that I found online, but I think this one on allrecipes.com is pretty close to what we had. 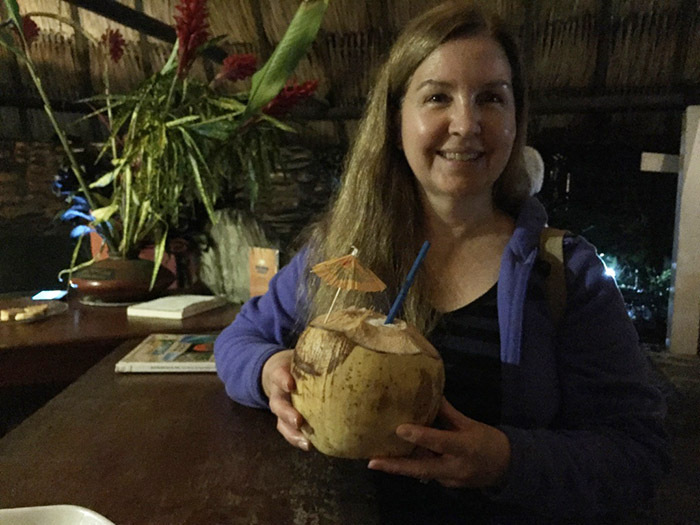 Thanks for indulging me in a coconut break. Back to more sightseeing recaps next week!